The New York Times this morning published an extensive look at the system of tax incentives and breaks exploited by games makers, concluding that their write-offs to research and development costs satisfy the letter, but not the spirit, of 50-year-old tax policies that by now defy common sense. Focusing almost exclusively on Electronic Arts, the Times details how the company's R&D for its own games qualifies for tens of millions of dollars in savings under tax breaks created in eras when America was concerned about the Soviet threat and Japan's rise in automobile manufacturing. By contrast, a pollution-reducing smokestack project begun by Union Carbide in 2009 did not qualify for such R&D savings. It's an eye-opening, outsider's look at something we've reported on here and which the conventional wisdom among game enthusiasts holds to be a good thing—the government, rather than pillorying video games or regulating their content, acknowledging the industry's merit with tax benefits. Outside our bubble, video games are not viewed as some underdog sector, but a mature industry taking advantage of breaks that, in spirit, are meant for startup operations and risky ventures that deliver some public good. Oil companies, the Times notes, question why the government effectively subsidizes video games development. Further, in a crossover industry touching software development, entertainment and online retailing, game makers can take advantage of more tax breaks than companies like Netflix or Adobe. And the research and development deduction means costs for production of games are subsidized in ways the production of films are not. That said, the Times notes that even EA's competitors feel that the company is not as aggressive as other publishers in pursuing. EA's top spokesman, Jeff Brown, said that not taking advantage of all tax breaks available is akin to "insisting on paying full price during a store sale." He has a point, but EA is not a passive participant in this. It has a personal shopper, if you will, finding these values in the former Clinton administration tax official who now directs the company's tax strategy. 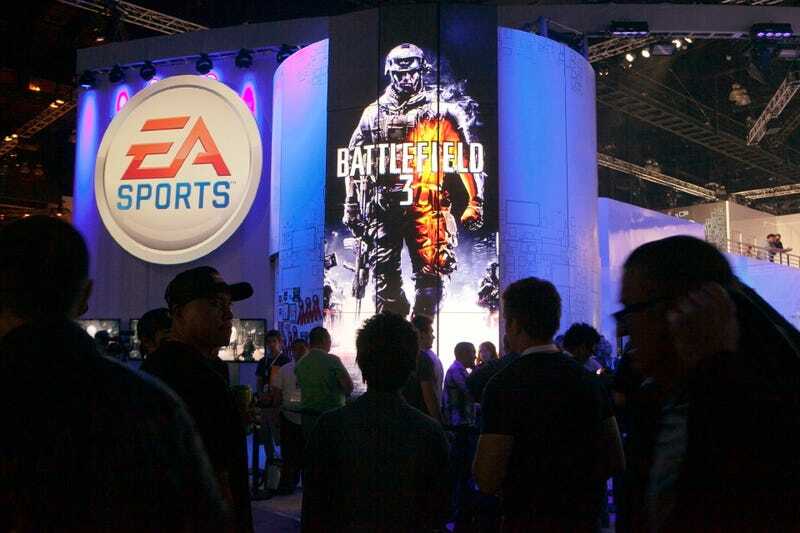 And timely lobbying on EA's part in 2004 helped qualify video games for a tax break on companies that export, a tax deduction that last year amounted to 9 percent of the publisher's production costs. We are not tax analysts here, and have generally reported and reacted to government incentives for the industry as a good thing without questioning their fairness at large. The absence of these benefits may not stagnate development because those most often claiming them have enormous capital in reserve. And if they did, how can one argue that an entertainment product supplies a public good on the level of cleaner energy or pharmaceutical research. Ultimately, I buy EA's rationale that, hey, it holds memberships in clubs that all offer a nice buffet, and the prudent thing to do is to take advantage of all of them. There's no morality here, this is what any publicly traded company worth a damn does, and those who write the tax code know this. So if there's any blame to assign, it's to lawmakers, and the fear of losing jobs makes closing off existing tax breaks difficult. Unless, however, shrewd politicians sieze on popular conception of video games as trivial entertainment products not worthy of taxpayer subsidies, and use them as an argumentative fulcrum to reform corporate tax code and make American industry pay a more fair share. Ironically, video games might then provide more public good as a political punching bag, rather than as an industry treated with the respect implied by government tax incentives.